Arrow Electronics’ presence at electronica 2018 underlines the company’s strategic direction as a technology solutions provider. Its presence will comprise three core pillars: an IoT zone and Arrow Software Solutions on the main booth (Hall C4/412) and an additional area within electronica Fast Forward, the start-up area in Hall C5. Arrow aggregates electronics and enterprise computing solutions for customers and suppliers in industrial commercial markets. Its capabilities now extend to support customers with complete technology platforms and solutions. In this way, Arrow is enabling customers from ideation through the complete technology stack, creating optimised designs capable of scaling for mass production and widespread deployment. Complex designs can be supported by Arrow’s in-house engineering services and system integration capabilities. The IoT zone will feature a mixture of products split between end-user devices, business-to-business applications, market-ready solutions and ready-for-production systems. These will showcase capabilities including, amongst others, gesture recognition, voice activation and smart lighting. Staff will be on hand to explain the applications, technologies and products involved, and how Arrow and its suppliers were able to assist in bringing the product to completion in each case. The Arrow Software Solutions section will concentrate on bridging from embedded hardware to IT infrastructure. Covering real business use cases, it will demonstrate how to implement security, cloud access and data ingestion, data analytics, machine learning, data visualization, and AI. It will also show how to utilise individual supplier technology and create secure connections to cloud solutions and services. Interactive demonstrations by Arrow application engineers will show visitors how to simply connect IoT devices to the cloud and set up monitoring and control systems using widgets within software tools. There will also be demonstrations of how the arrow.com site can be used as a rich resource for products and services. 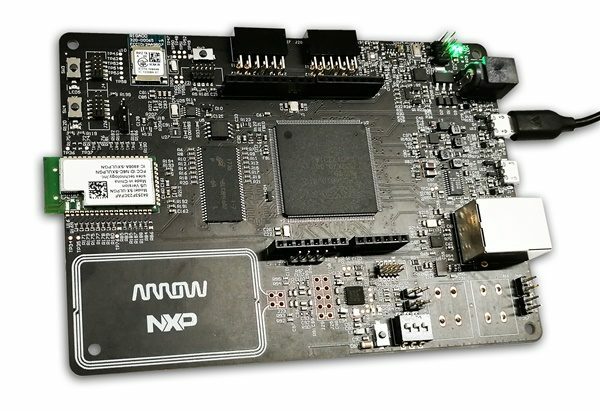 In electronica Fast Forward, the start-up and young entrepreneur platform, Arrow will feature its own range of development boards and a selection of related applications. These will include IoT, communication, AI, HMI, sensors, voice command and vision. The event will also see the culmination of an international design competition, open to the public, in which developers were asked to come up with innovative designs using Arrow development boards. The winner and best three designs will be showcased on the booth. Image : The HANI development board, part of the range that will be featured in Arrow Electronics’ IoT zone at electronica. Arrow Electronics guides innovation forward for over 150,000 of the world’s leading manufacturers of technology used in homes, business and daily life. With 2017 sales of $26.6 billion, Arrow aggregates electronics and enterprise computing solutions for customers and suppliers in industrial and commercial markets. The company maintains a network of more than 345 locations serving over 80 countries. Learn more at FiveYearsOut.com.